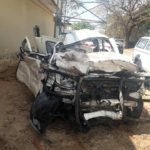 Two police officers died instantly in a vehicle that was used to transport prisoners when they were involved in a head-on collision with a heavy truck on its way to Zambia ten kilometres east of Rundu. 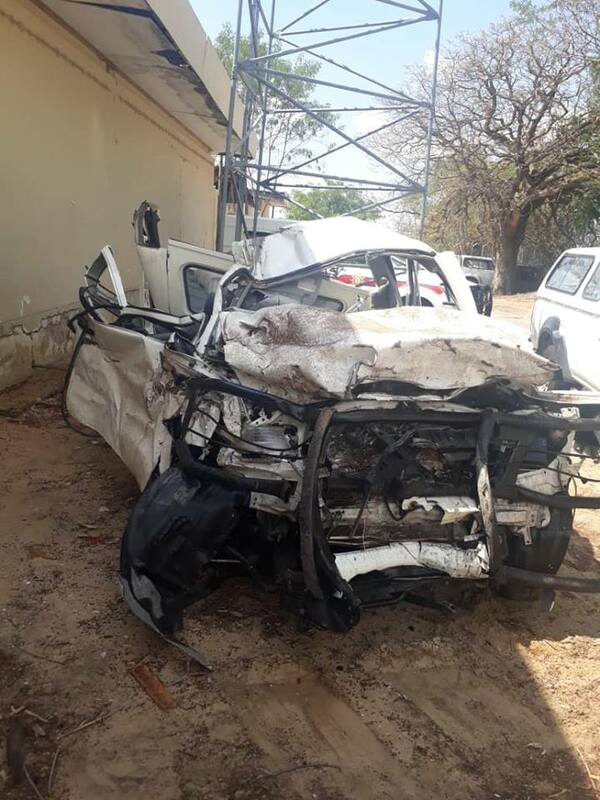 According to Kavango East Regional Crime Investigations Coordinator, Deputy Commissioner Bonifatius Kanyetu the police vehicle transporting the prisoners had seven occupants when the accident occurred early on Friday morning. Five police officers travelled with two inmates and they were on their way back to Rundu from Ndiyona when their vehicle crashed into the truck. Deputy Commissioner Kanyetu said the truck was busy overtaking another vehicle when the two vehicles collided. Three police officers and two inmates sustained serious injuries and were transported to the Rundu State Hospital for purposes of stabilisation and further emergency medical care. The five victims are all in critical condition. The force of the impact caused the cab of the truck that was pulling a flatbed trailer to overturn. The Zambian driver did not sustain any serious injuries.